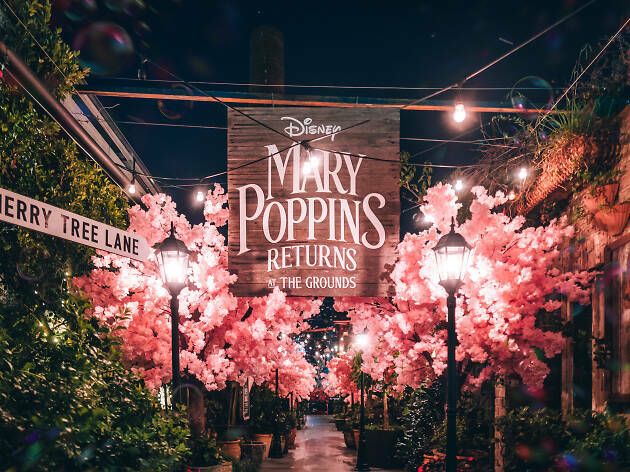 In honour of Emily Blunt’s magical portrayal of the world’s most beloved umbrella-toting nanny in Mary Poppins Returns, the Grounds of Alexandria is transforming their always delightful venue into a lane of nostalgia inspired by the film and its predecessor. 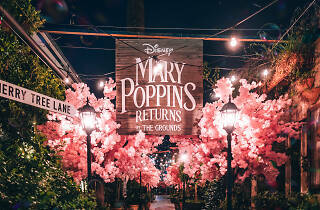 Cherry blossoms will adorn the lane, with London street lamps lighting your way past kites flying at the highest height. Each day at 10am, midday and 2pm, there’ll be a little extra razzle dazzle with bubbles under the blossoms. After you’ve immortalised the moment, you can try the Poppins themed cake at the Café. The ever-so-sweet display will float away after February 3, so step in time to the Grounds quick as you like.